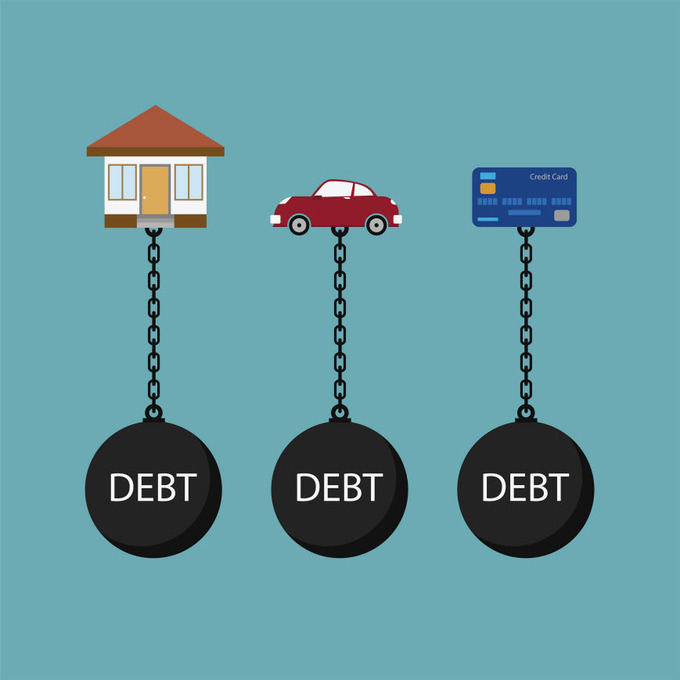 The recession and housing crisis of the last several years is still having an effect on millions of Americans, according to a new survey published by Urban Institute that found that over one-third of adults with credit files have a debt in collections. The areas of the country most affected by this are Nevada and the South. Urban Institute collaborated with Encore Capital Group's Consumer Credit Research Institute on the study, which examined trends in bill payments using a random sample of seven million people with 2013 credit files from TransUnion. The study authors looked at the debt past due factor on non-mortgage payments that were at least 30 days late, as well as debt reported to be in collections. This type of debt includes items such as credit card payments, child support, medical or utility bills, parking tickets and membership fees that has been deemed past due for enough time that it's gone into collections and a third-party agency has to try to collect on the debt. The analysis doesn't take into account the 22 million people who don't have a credit file, which means that the lower echelon of the economic spectrum is underrepresented. The findings also just take into account items that were reported to the credit bureau and not transactions like personal loans among family members. Still, the findings show that the 35 percent of American adults that have debt in collections. In September 2013, this averaged about $5,200 for each of the 77 million people affected by this. Nevada ranked highest in the survey, with 47 percent of the people with credit files having an average of $7,198 per adult in debt in collections. The District of Columbia and the South also have high levels of adults with this type of debt. Washington DC and eleven southern states have rates of over 40 percent of adults with debt in collections. On the other end of the spectrum, Minnesota, North Dakota and South Dakota have the least amount of debt in collection; however, at 20 percent, their rates of incidence are still relatively high. "Most people wouldn't blink of told that the majority of Americans carry some debt. But they would be shocked to learn that reported debt in collections is pervasive and threads through nearly all communities," said Caroline Ratcliffe, a senior fellow at the Urban Institute, in a statement. "Delinquent debt can harm credit scores and can tip employers' hiring decisions, restrict access to mortgages, and even increase insurance costs." Although more people in the South have debt in collections, the amount of that debt isn't as high as some states in the West. Many Southern states' average debt in collections was in the $4,000 to $5,000 range, compared to states in the West that tended to be over $5,000, with Nevada topping the list at $7,198. The study also looked at the size of mortgage debt and nonmortgage debt compared to income and found that that size of debt isn't necessarily related. Many states had low mortgage debt relative to the average household income, but high ratios of nonmortgage debt to income. The reverse was often true as well. "Although household debt is a signification challenge for tens of millions of Americans, it has received surprisingly little attention compared to other financial matters," said Christopher Trepel, chief scientific officer at Encore Capital Group and managing director of the Consumer Credit Research Institute, in a statement. "This study establishes a new fact base from which to ask important questions related to consumer financial distress, and it advances our understanding of household balance sheets and the spatial patterns of debt holding in the United States."